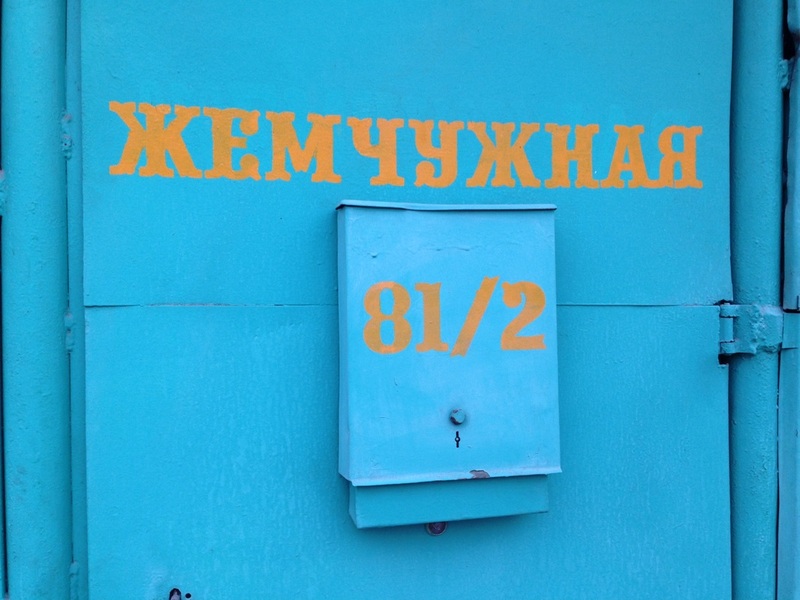 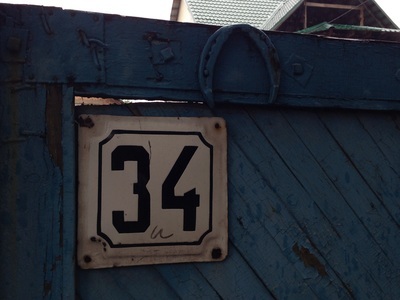 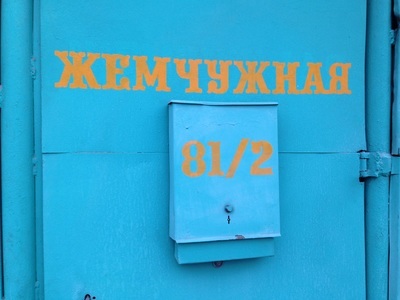 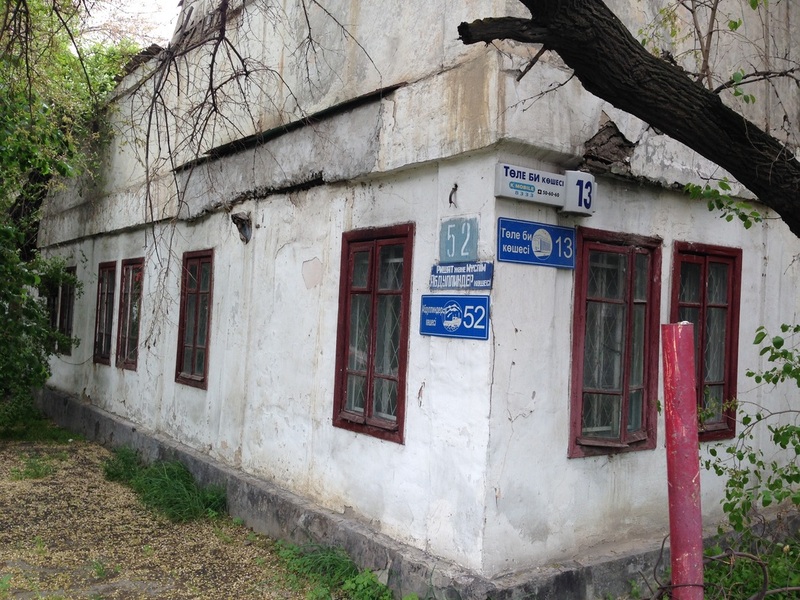 Many newcomers to Almaty struggle with navigating the city. 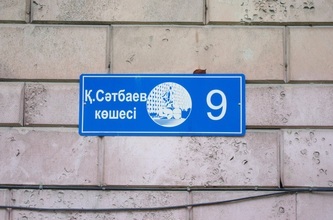 The central grid can leave visitors disoriented, and thus a cohesive wayfinding system is needed to give them assurance. 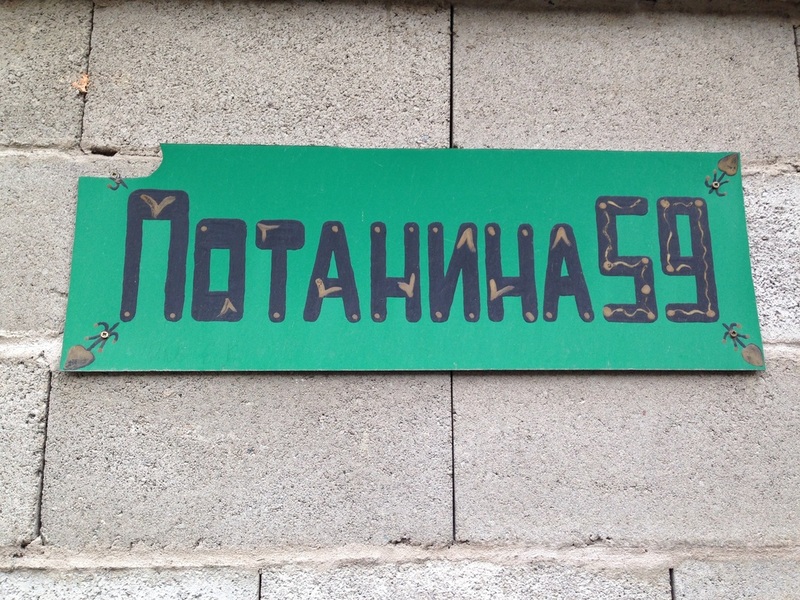 Unfortunately, there isn't one. 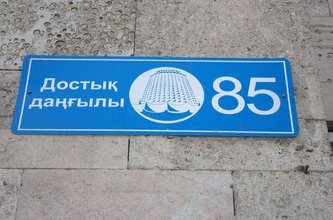 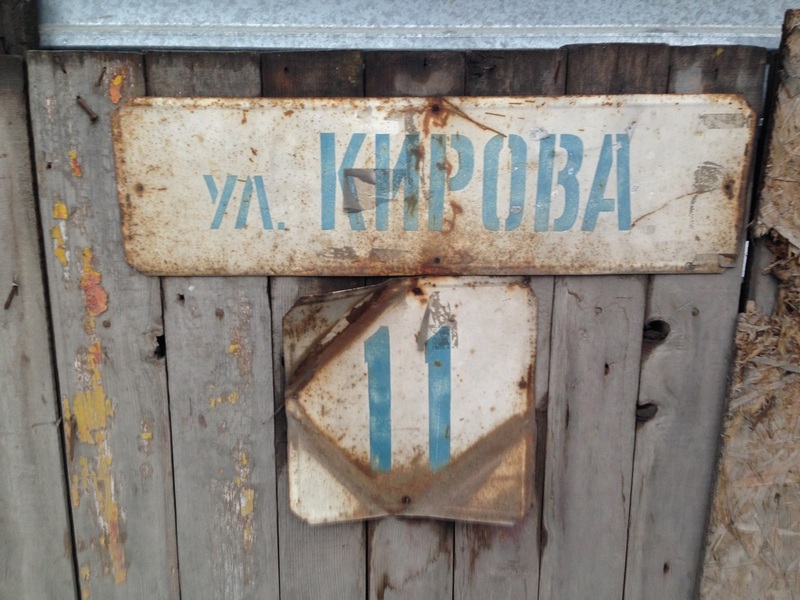 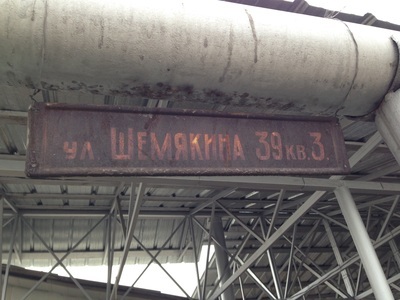 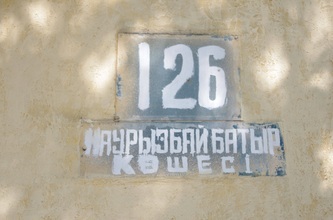 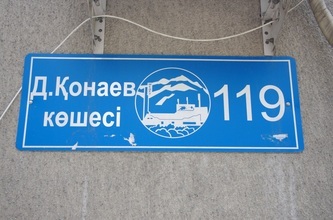 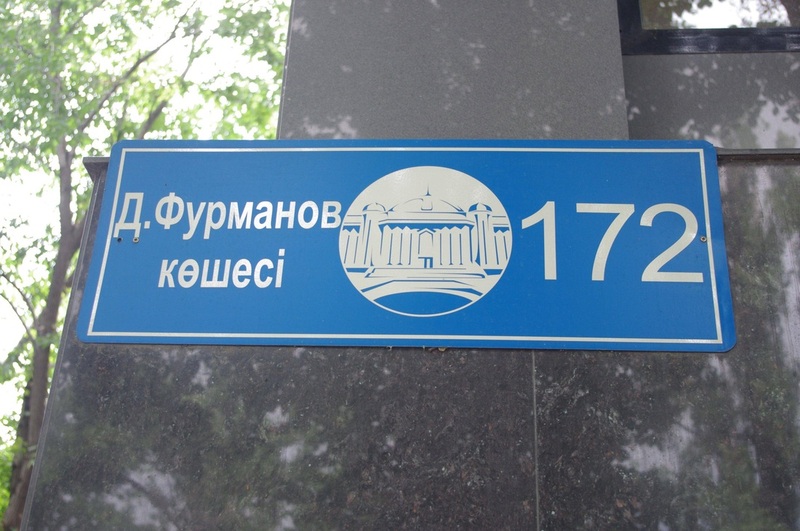 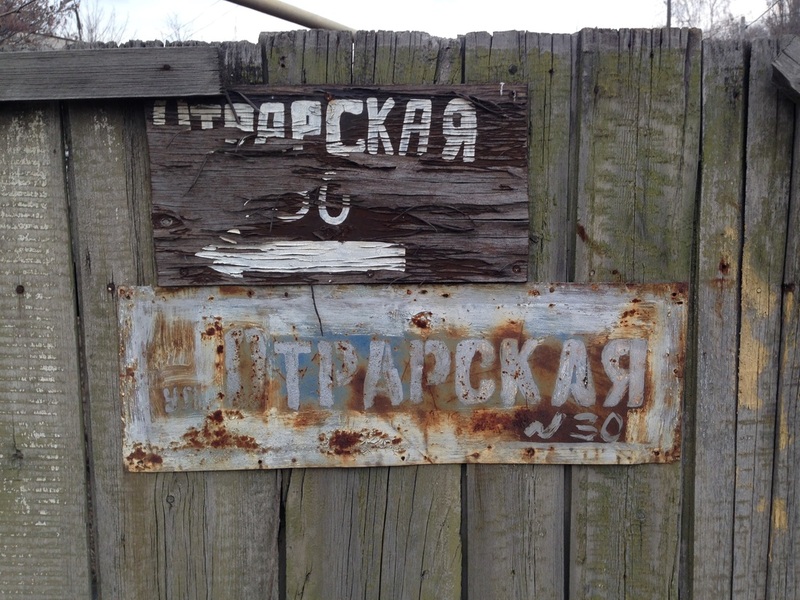 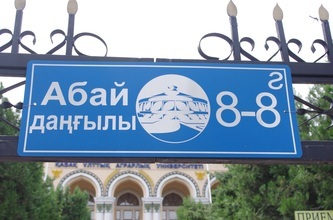 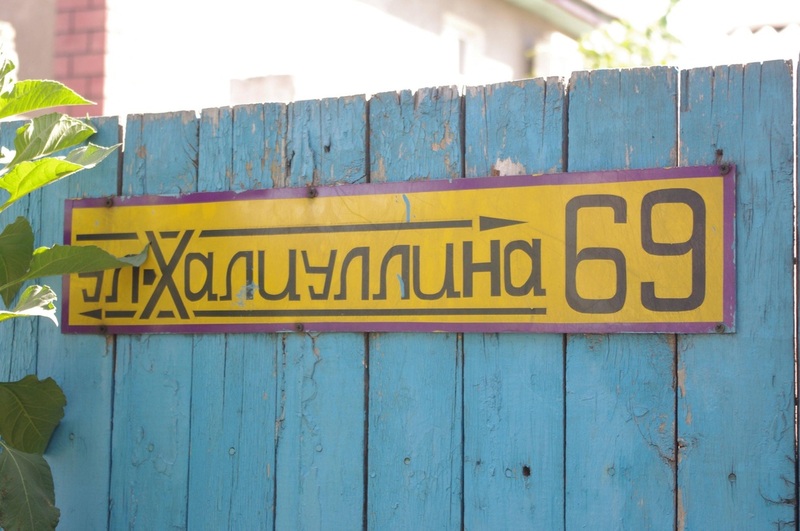 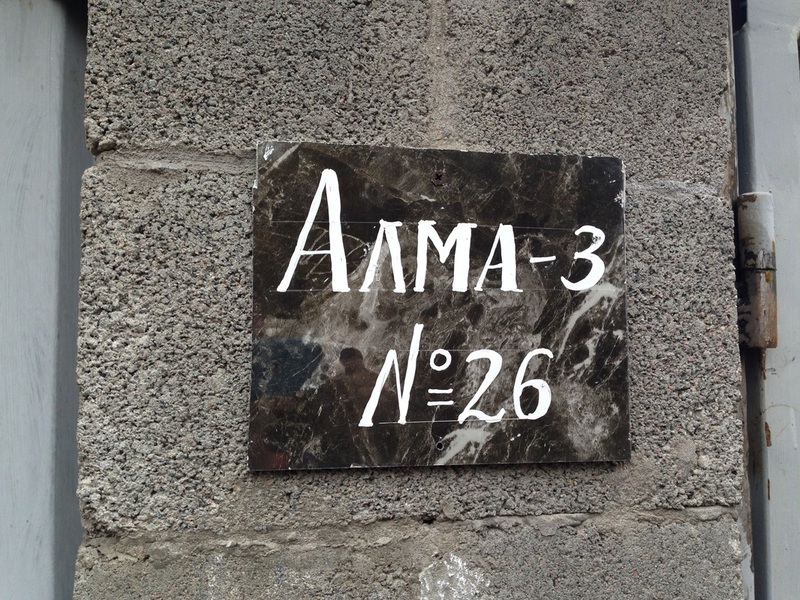 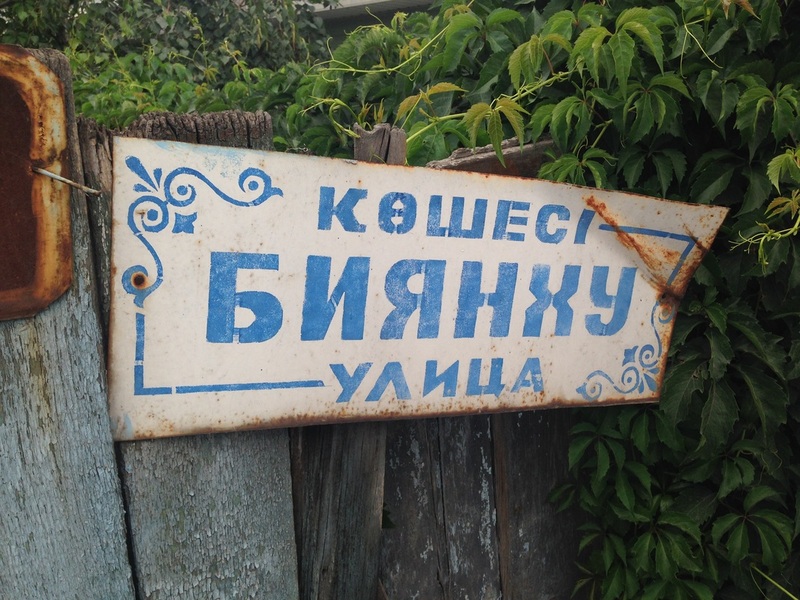 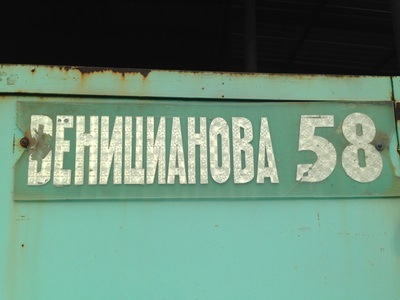 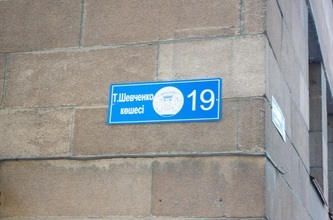 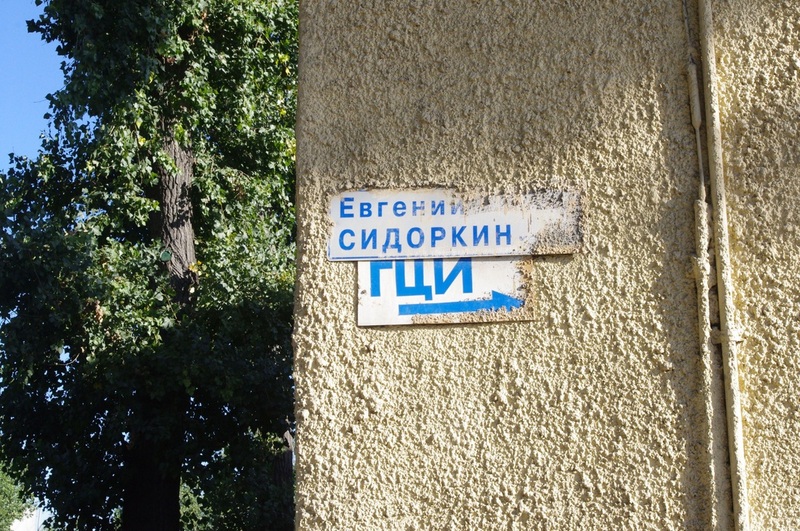 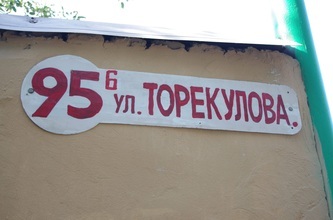 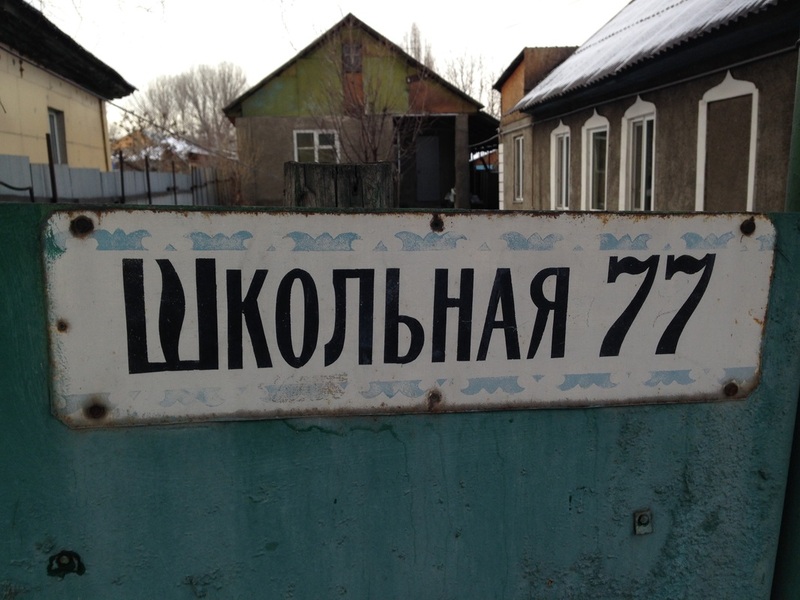 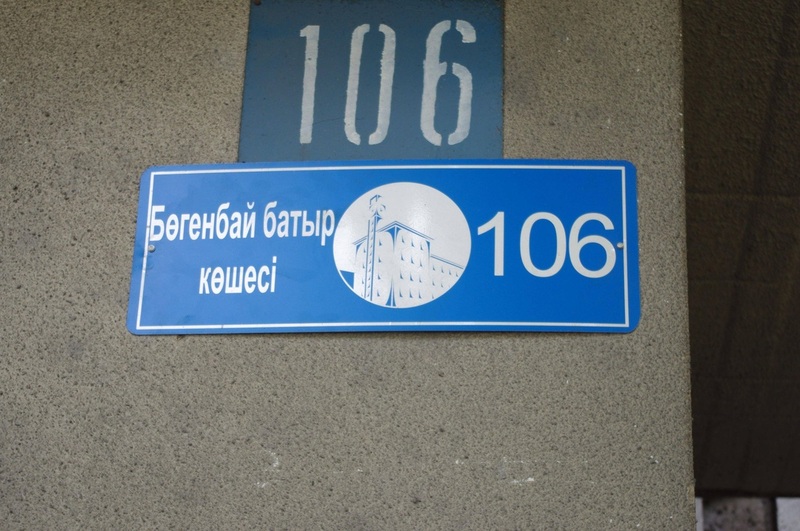 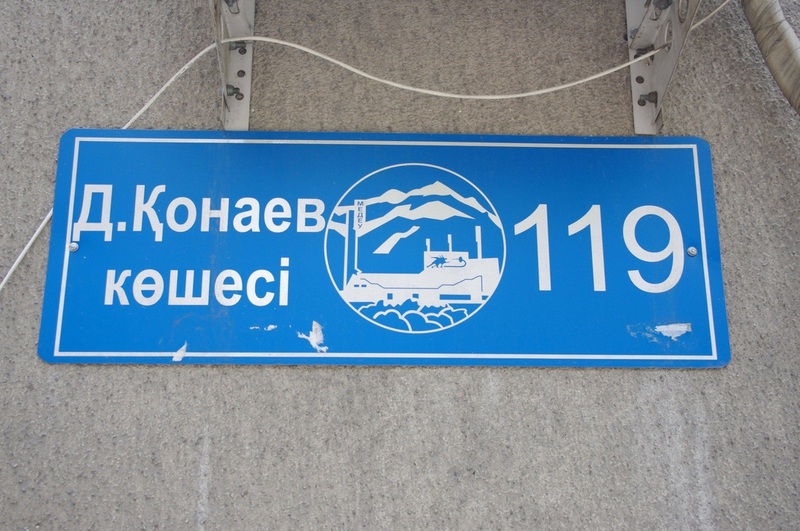 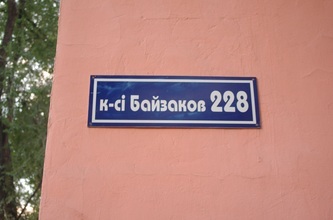 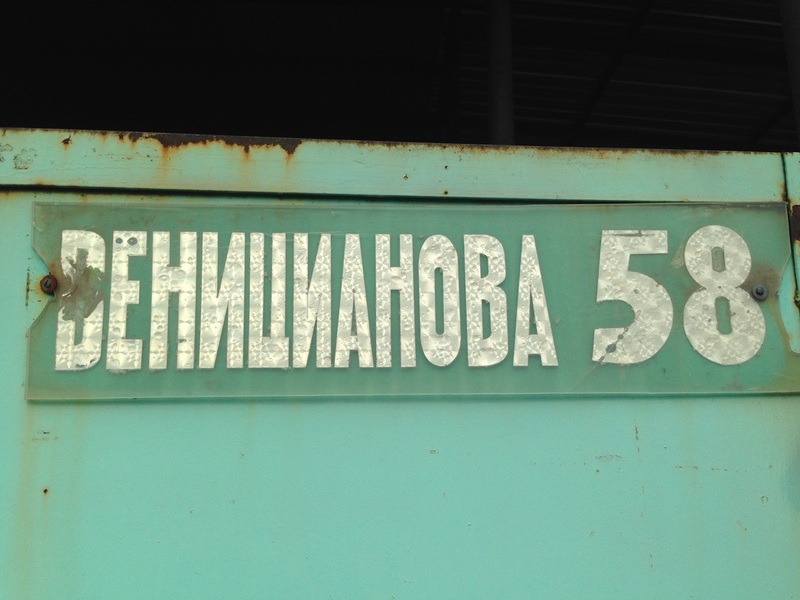 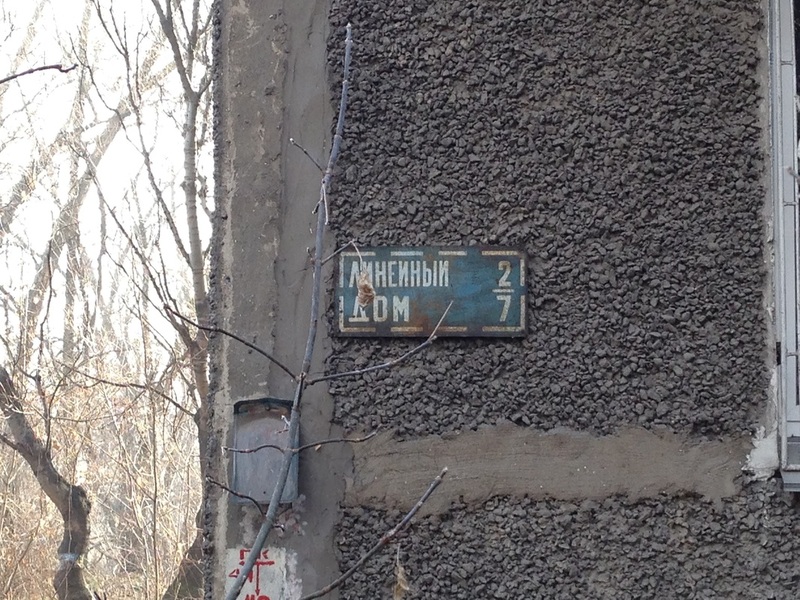 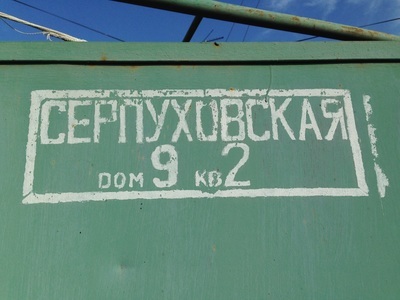 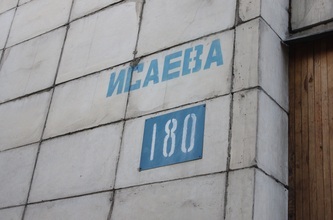 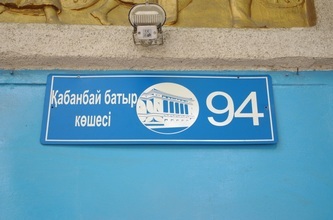 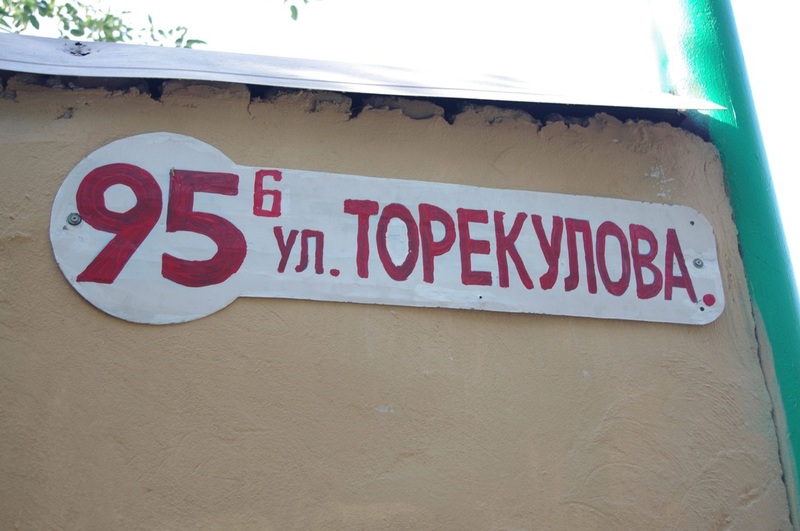 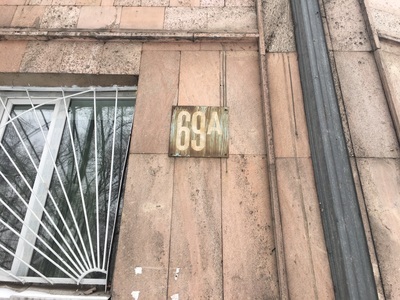 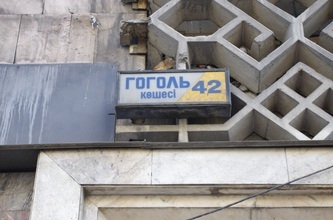 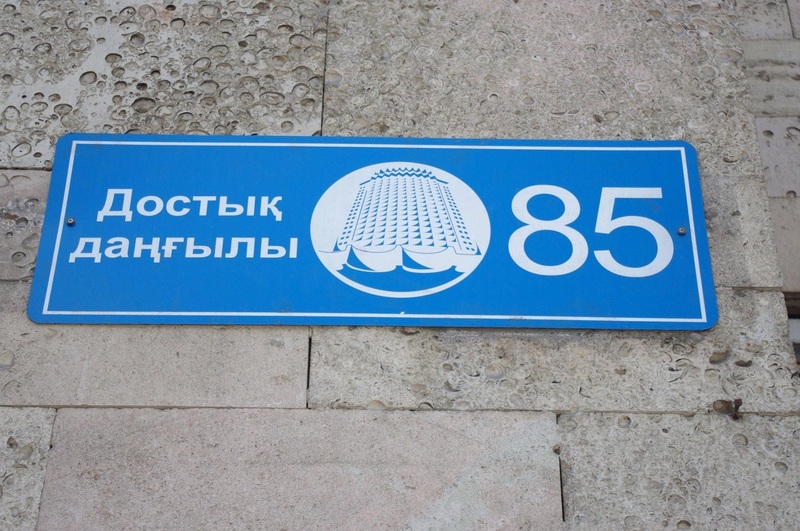 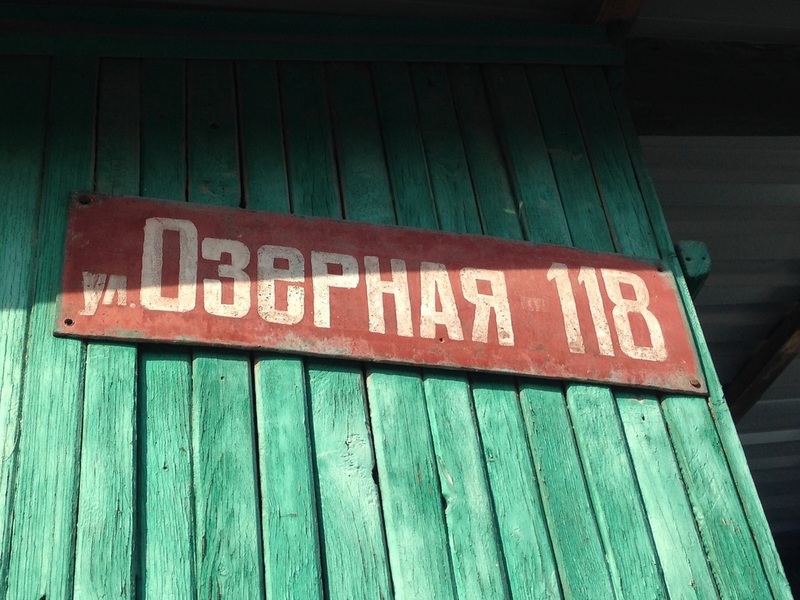 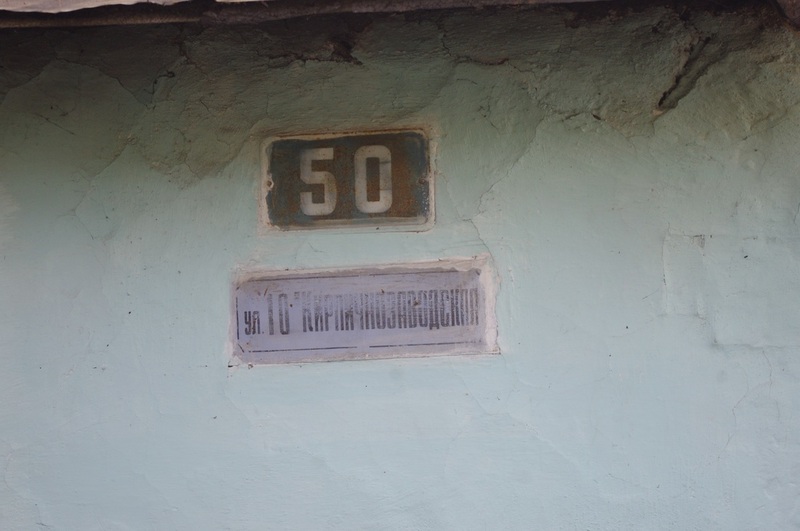 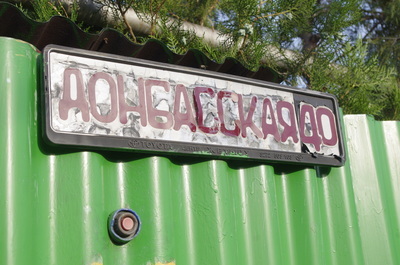 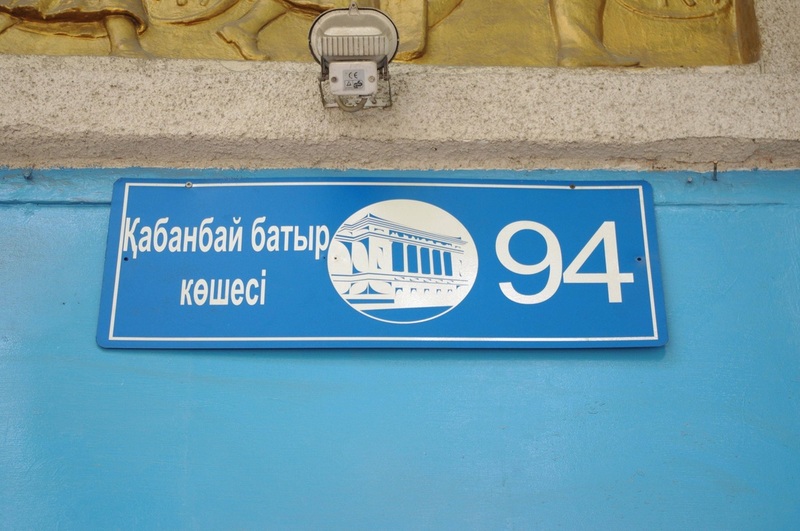 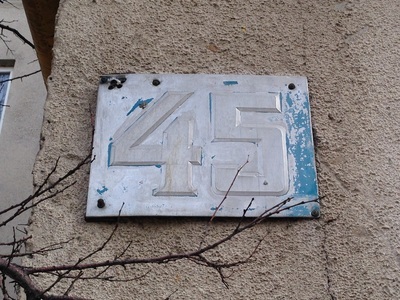 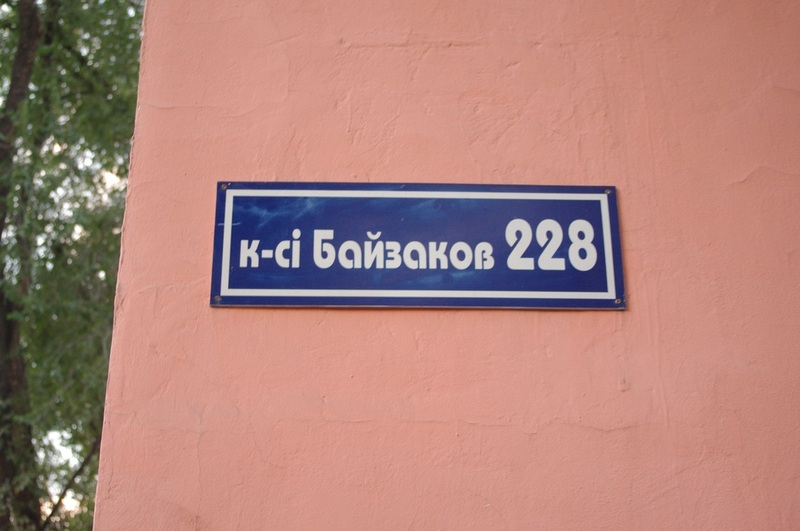 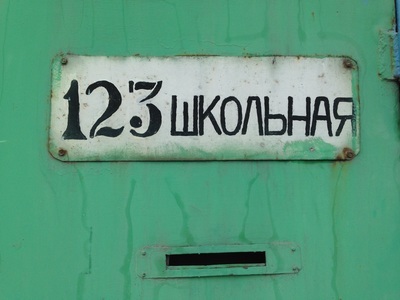 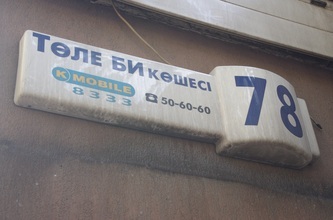 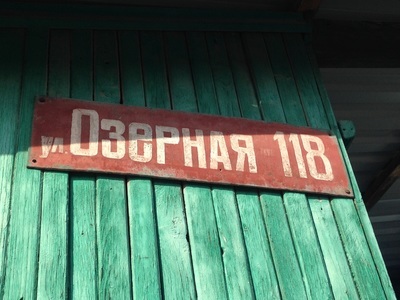 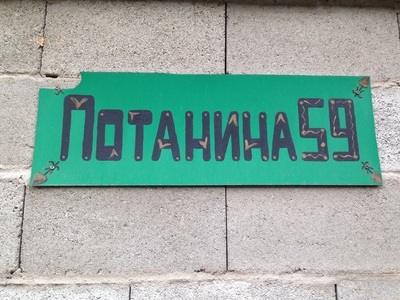 Street name signs are not posted on easily visible sign poles, as has become the international convention, but are placed in the Soviet style on the corners of buildings, where the plaques are often small or obscured. 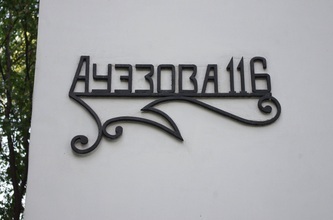 Several design iterations have been introduced through the years and none have been uniformly installed, and with so many styles, there is no recognizable element that can catch the eye. 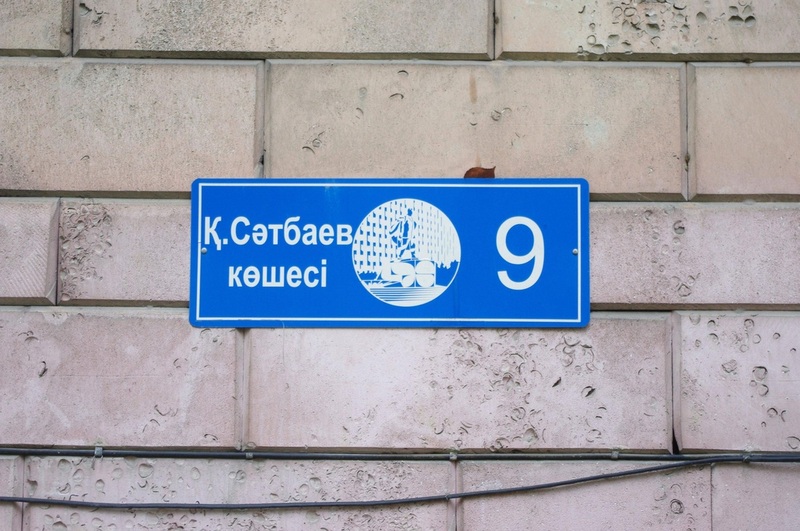 Finding the signs can be hard for pedestrians, but harder still for those in cars, who have a hard time seeing the signs from the street, especially at night. 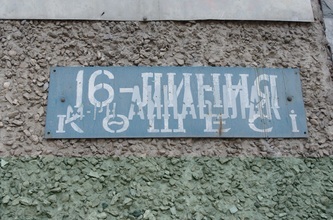 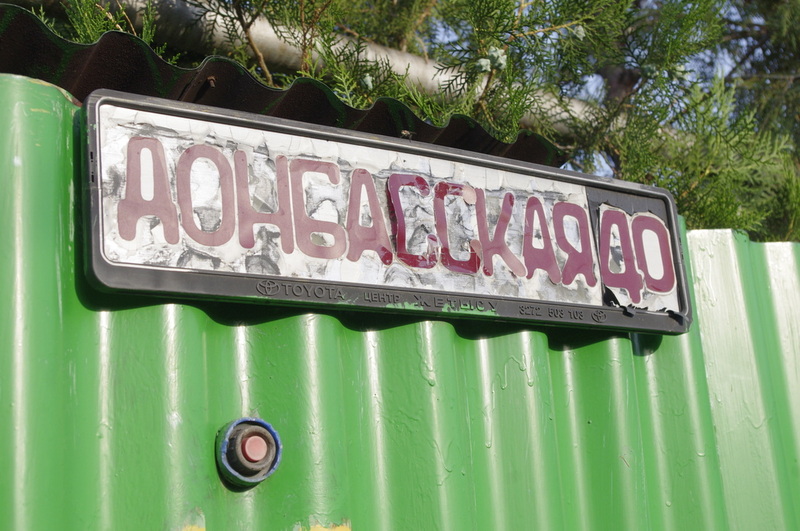 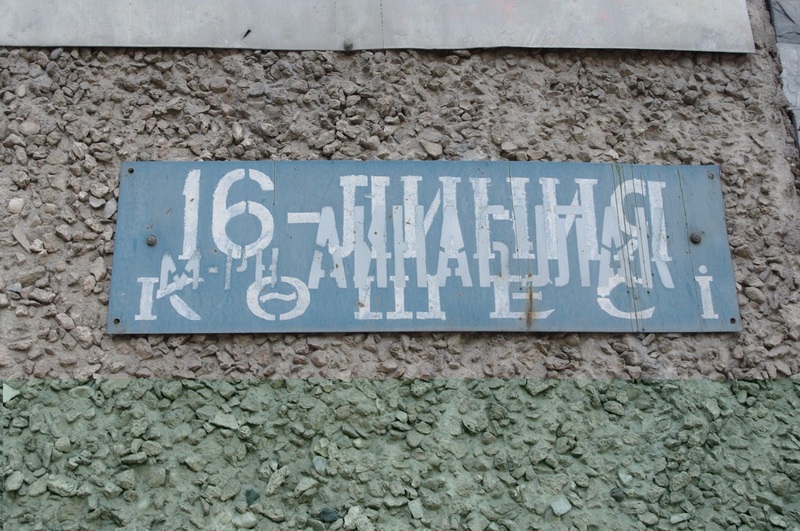 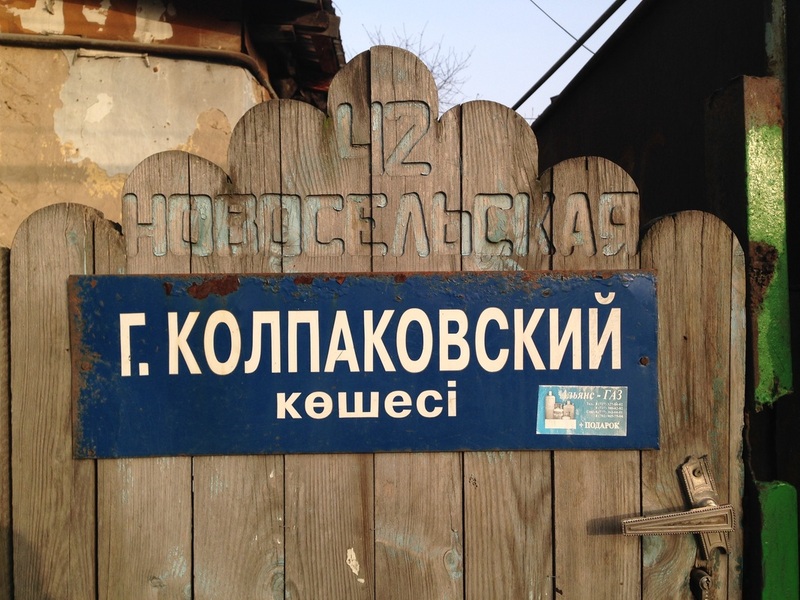 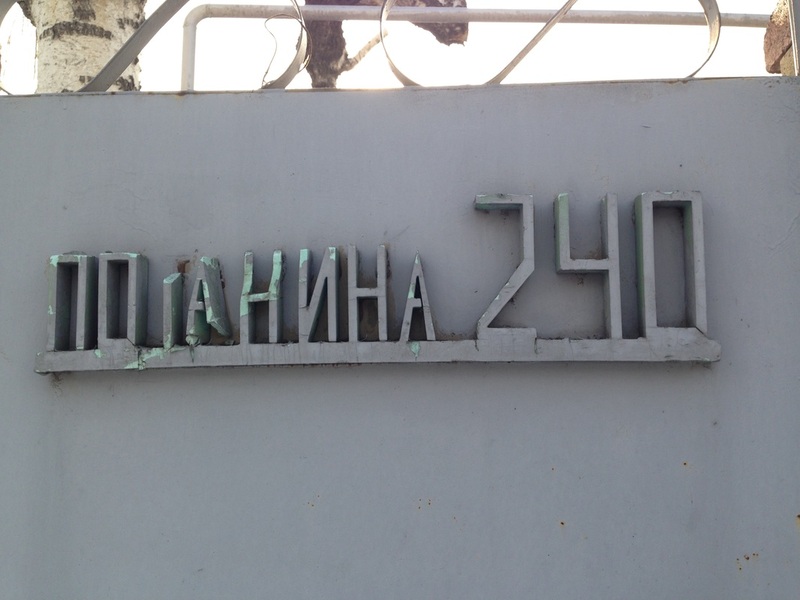 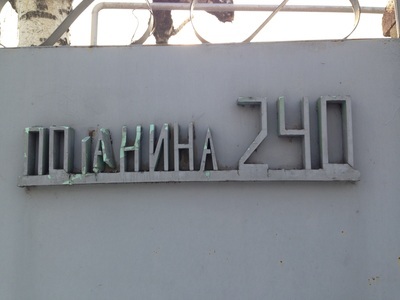 The older Soviet signs tend to be light-blue, with utilitarian stenciled spray-paint, while new plaques, harkening the country's capitalist transformation, often feature the lit-up logos of sponsors. 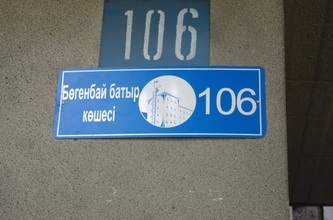 On many buildings, these plaques are doubled or tripled up, as new designs were installed without dismantling the old ones.The cruel irony is that despite the overabundance of address plaques on some building corners, very few taxi drivers or pedestrians pay the signs any regard. 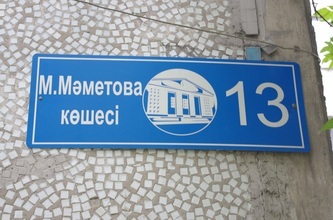 Instead locals prefer to use landmarks - "It's a block downhill from School 152" - or ask directions from passersby. 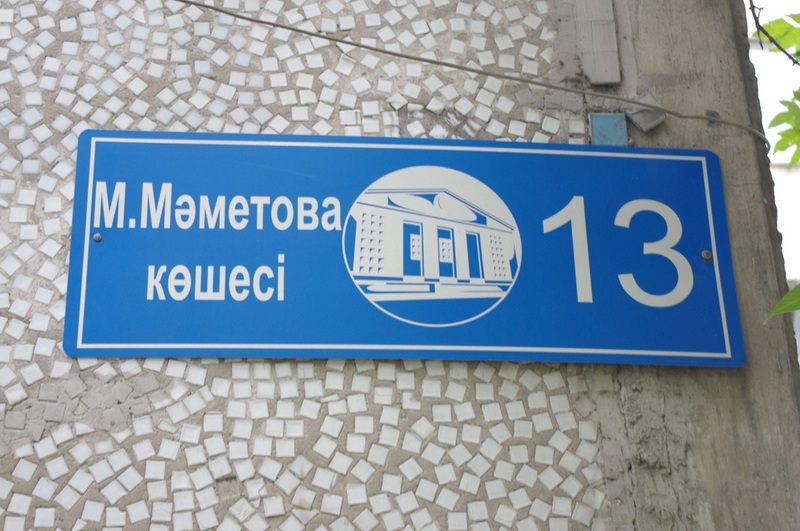 The most eye-catching of the various styles installed in the city are the bright blue plaques found in Medeu district, with every street's most iconic piece of architecture featured in a portal in the middle. 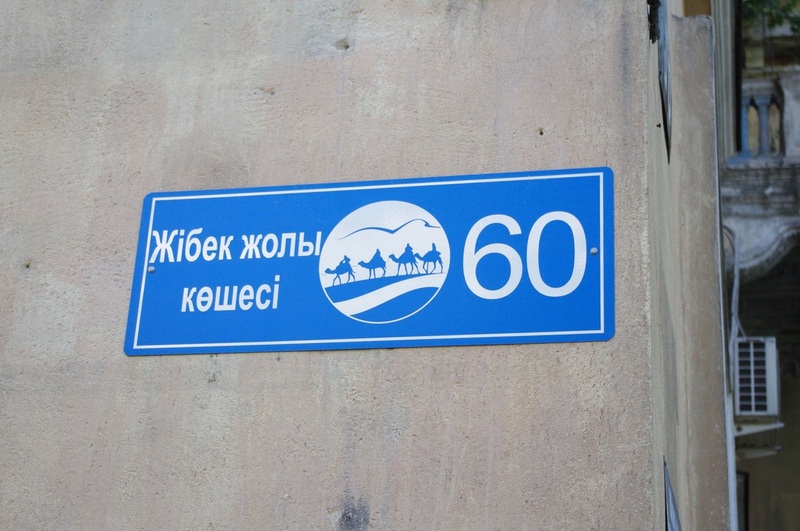 Qabanbai Batyr has the Abai Opera and Ballet Theater; Dostyq has the Hotel Kazakhstan; Furmanov shows the Central State History Museum, while Zhibek Zholy (which means "Silk Road" in Qazaq) just shows a caravan of camels. It can be fun to collect them all, getting to know the city's major sites as you go. 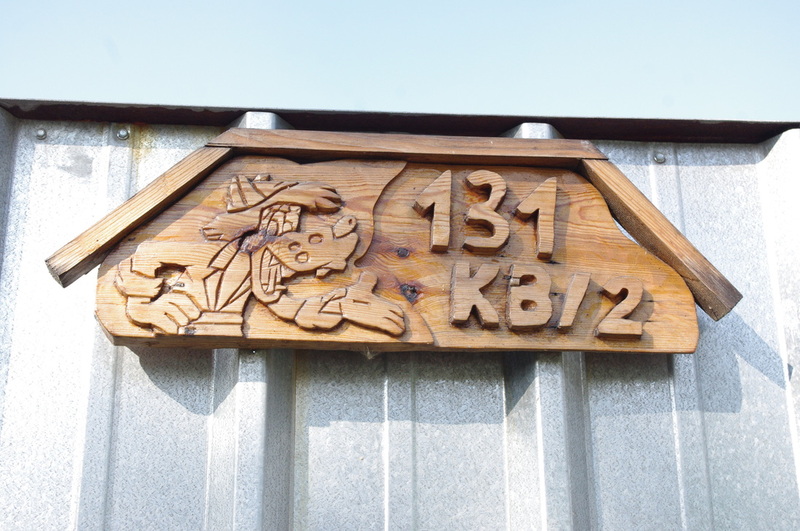 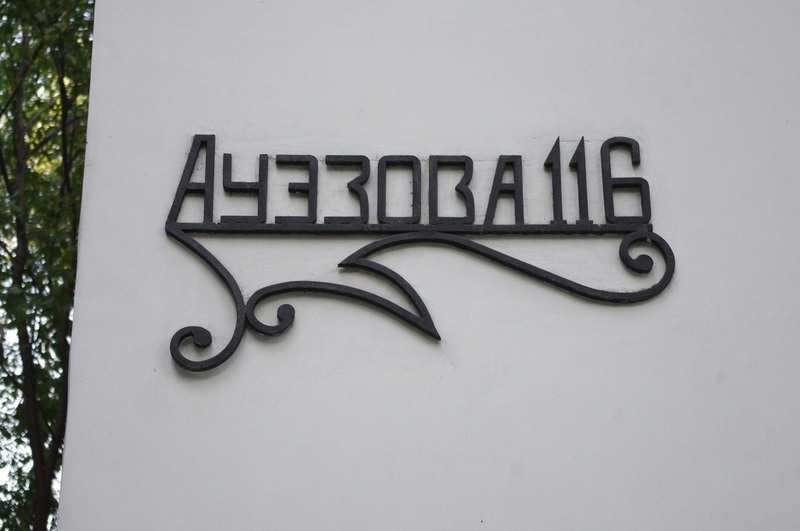 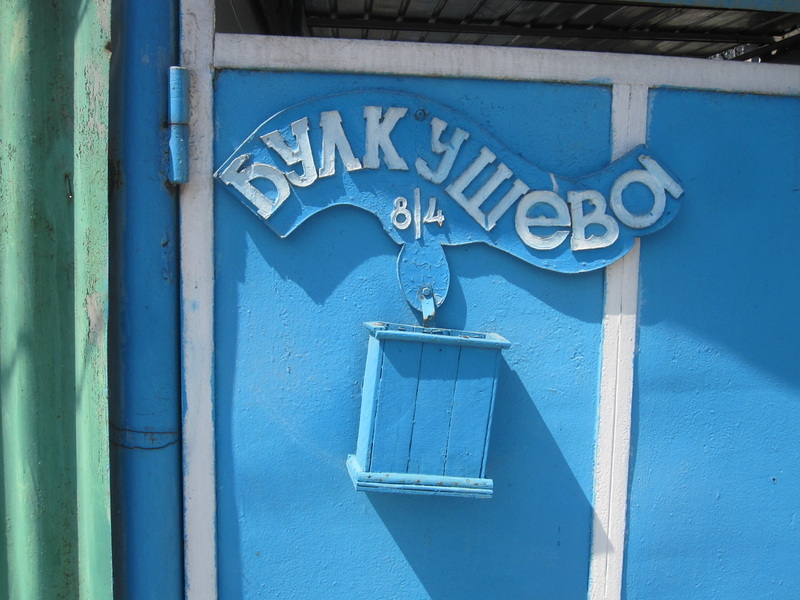 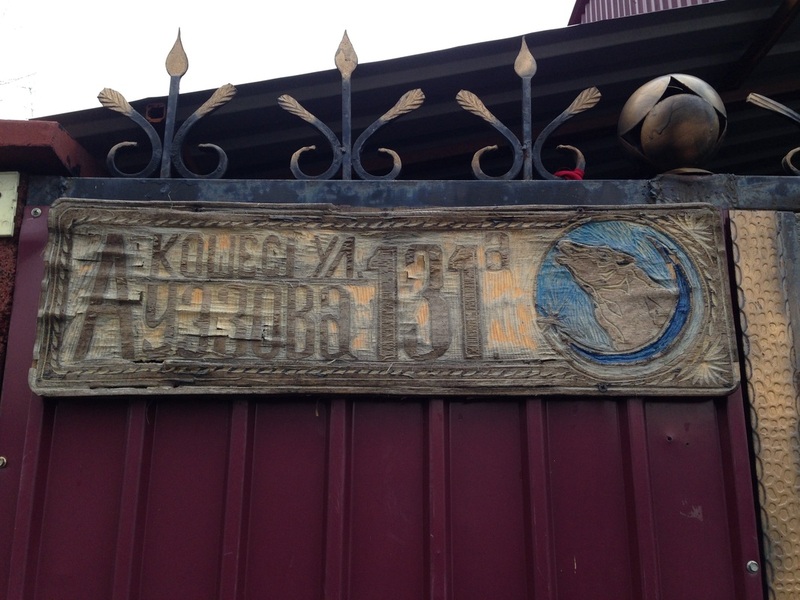 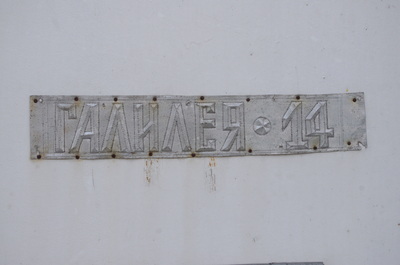 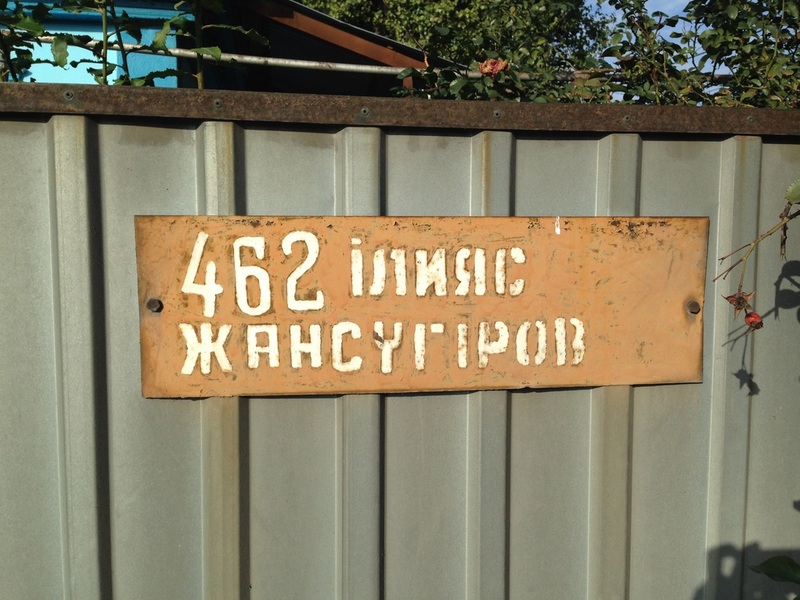 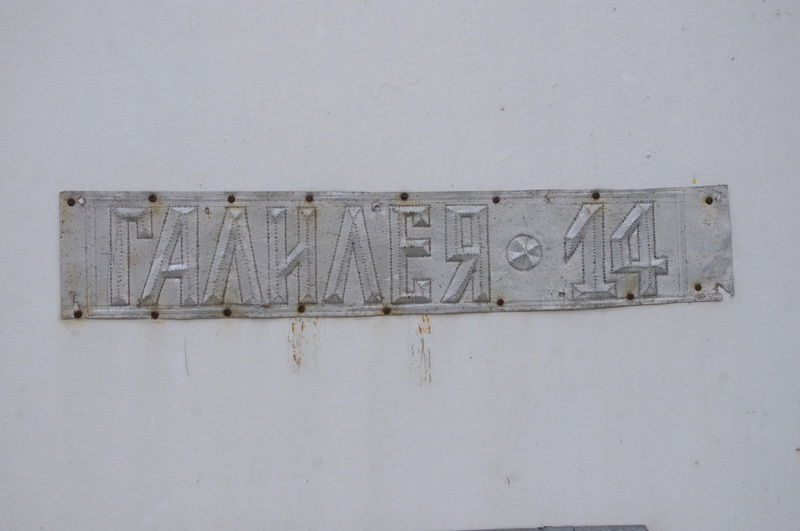 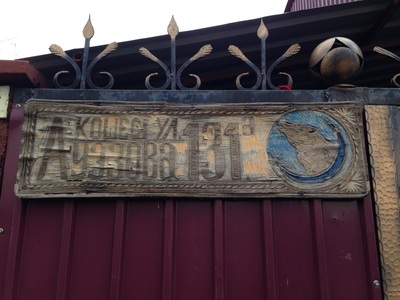 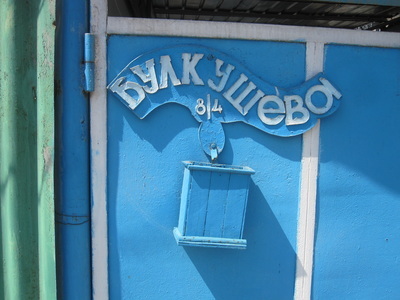 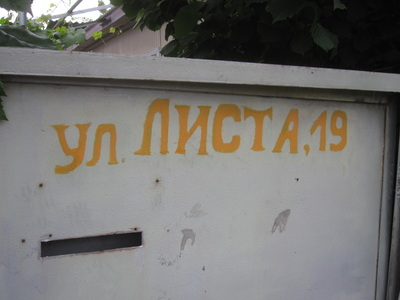 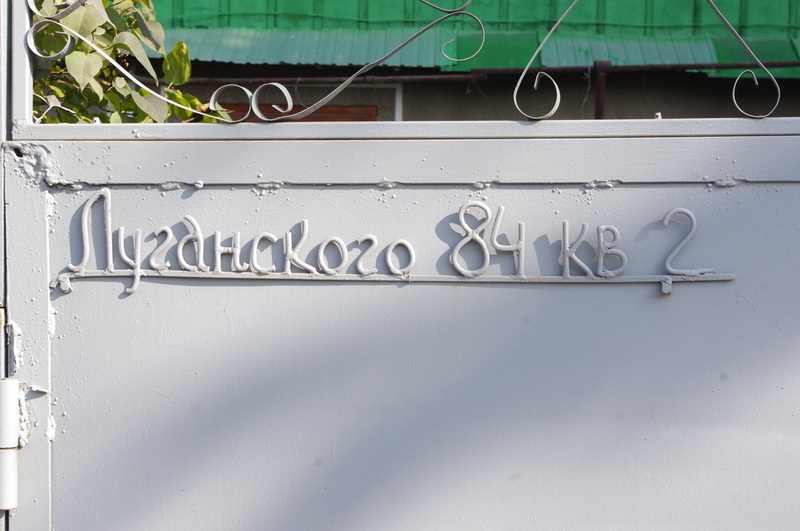 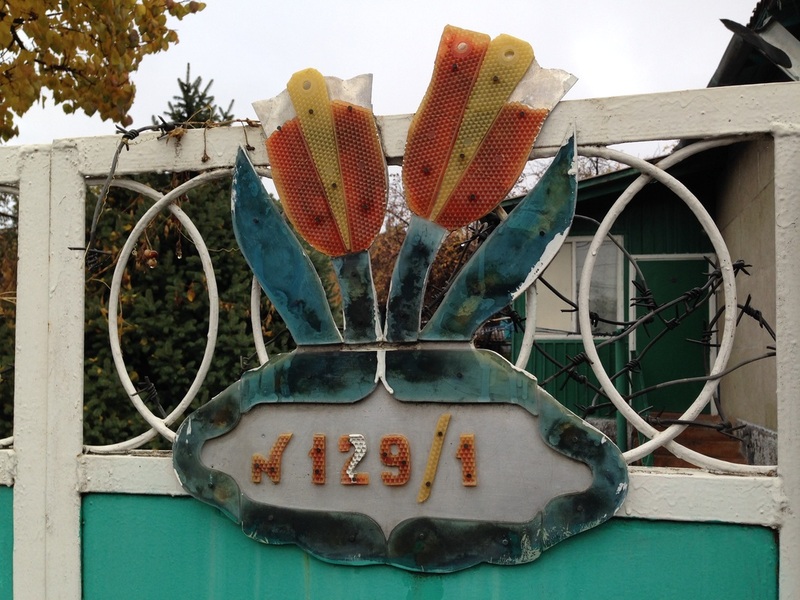 In the single-story suburbs, address plaques were at some point standardized in the Soviet period, and one often comes across plaques of the same style. 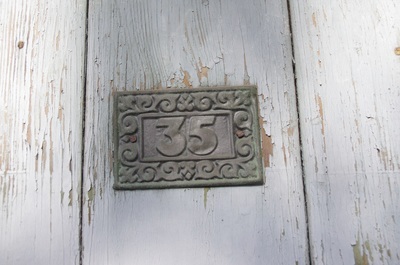 The most common is rectangular, with rounded corners and a raised bevel around the edge. 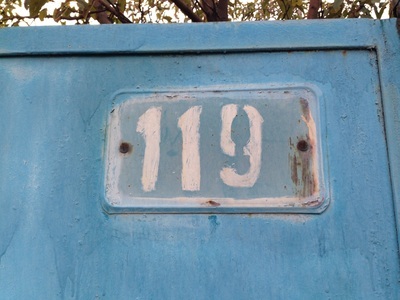 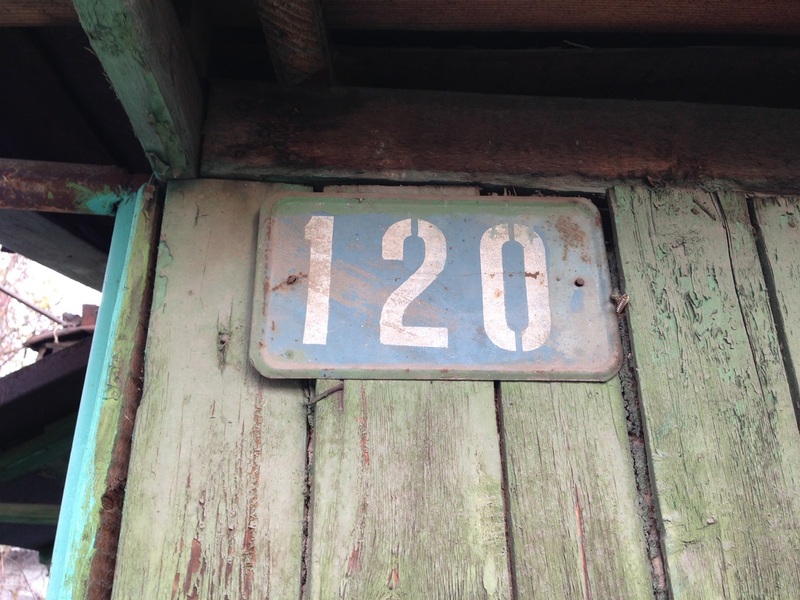 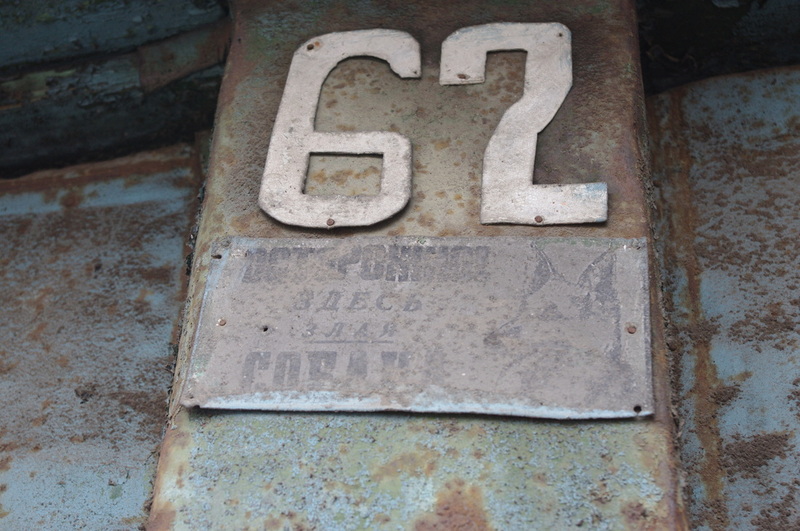 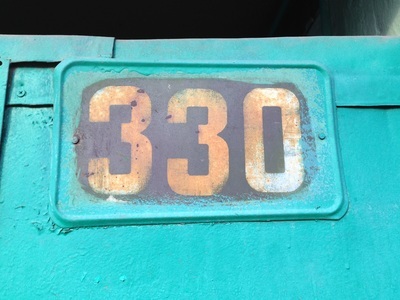 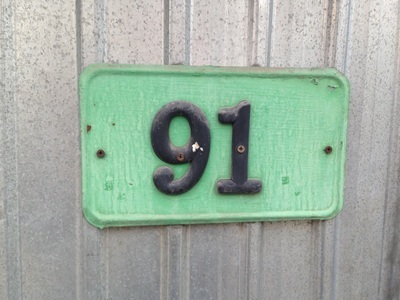 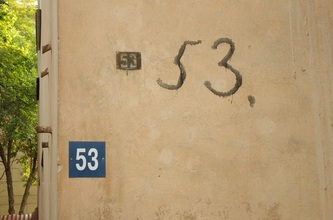 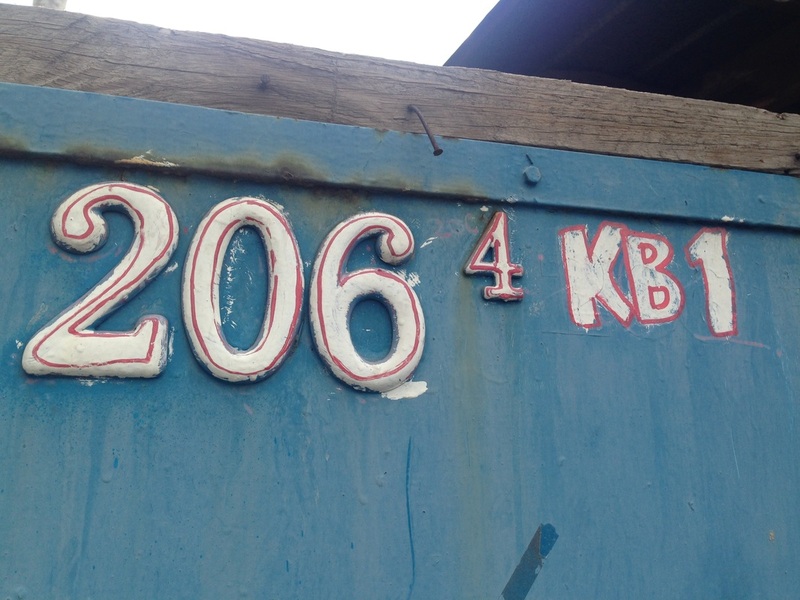 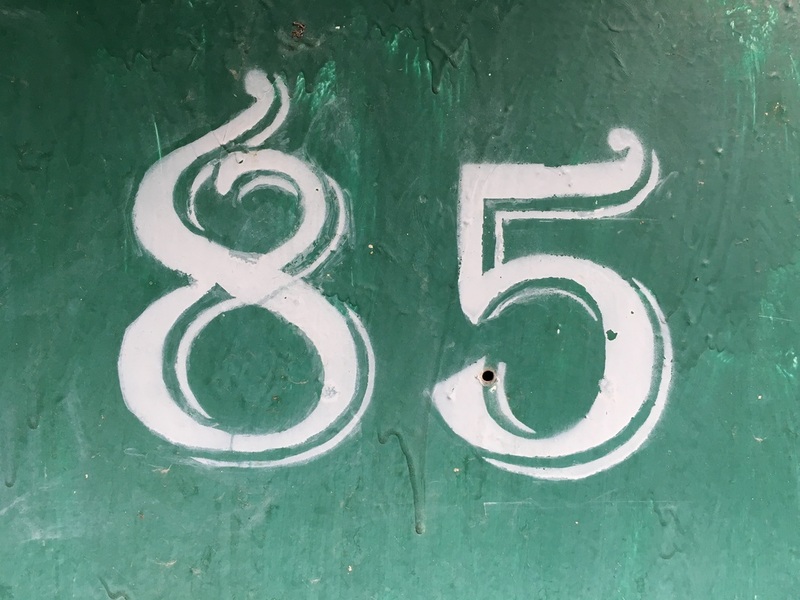 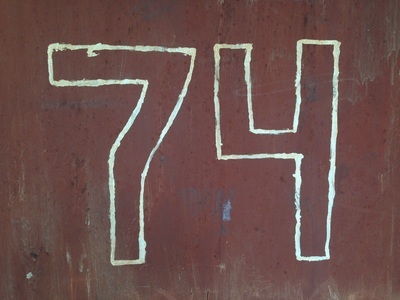 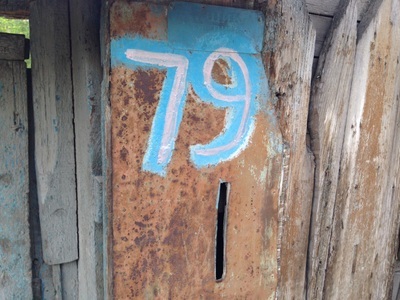 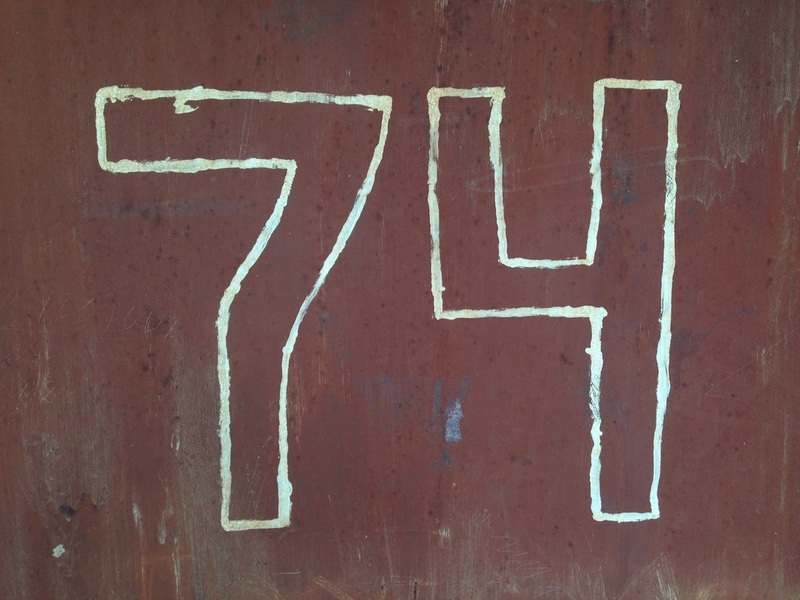 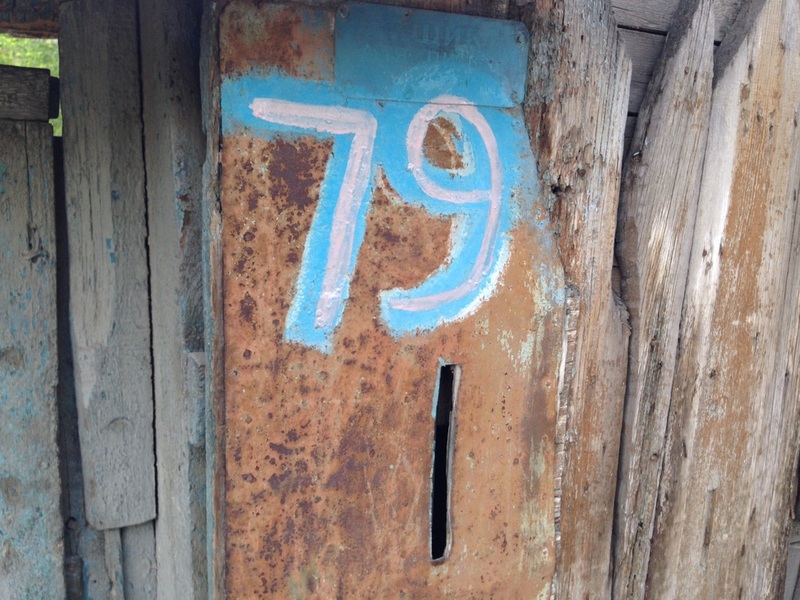 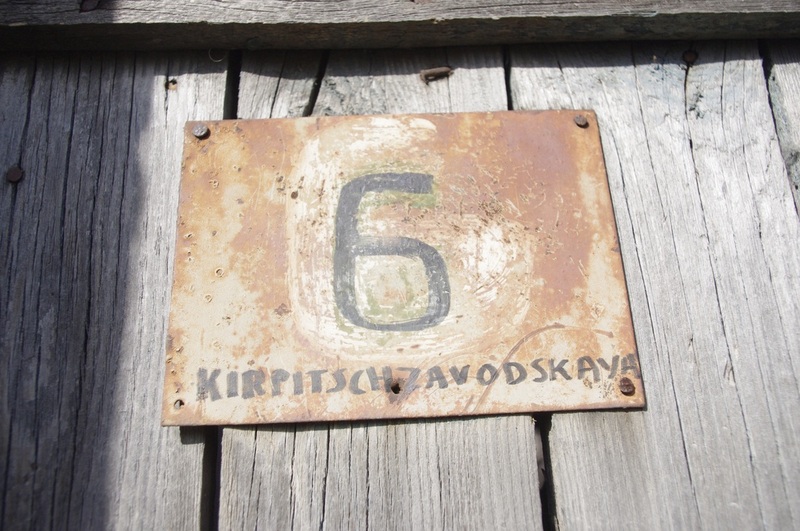 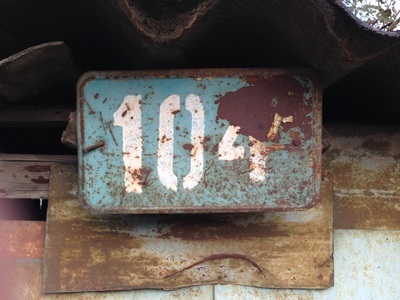 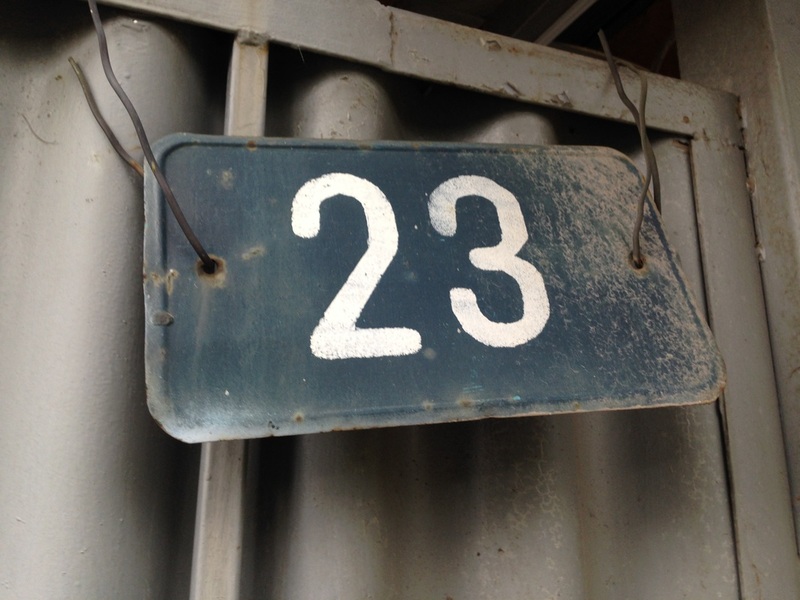 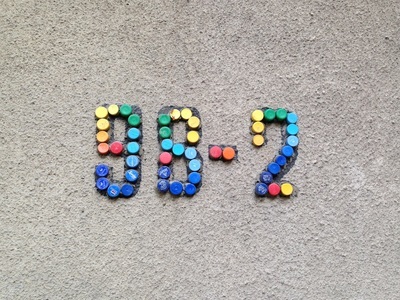 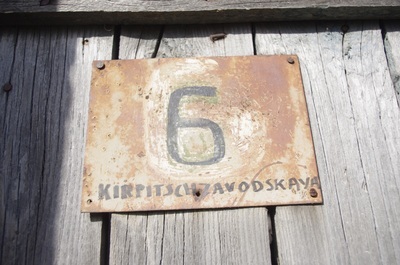 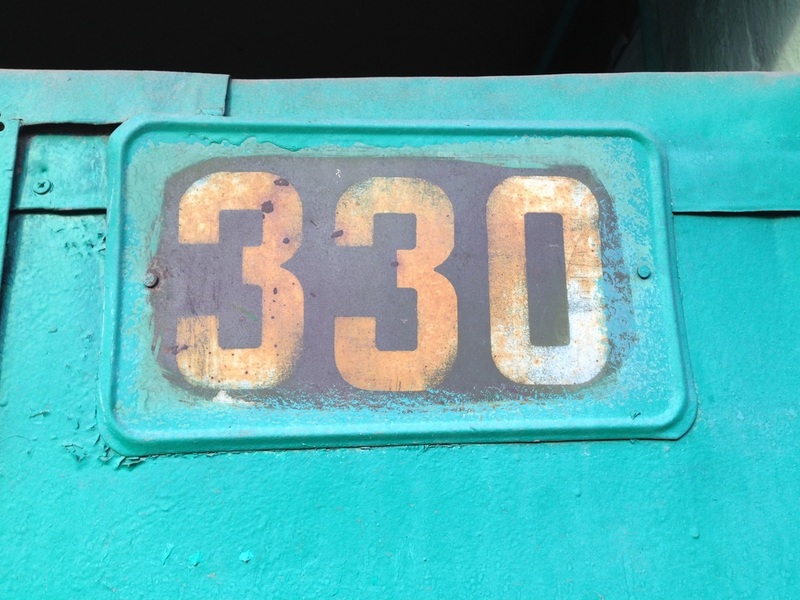 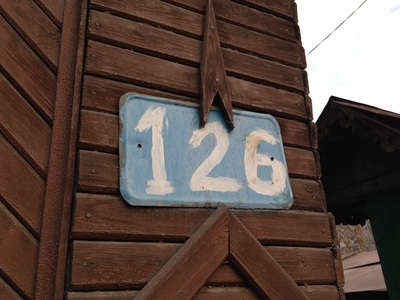 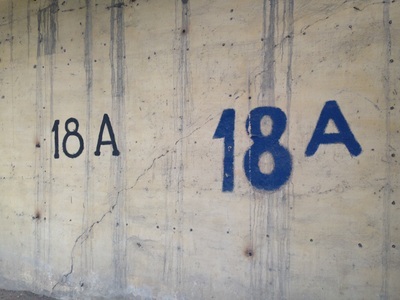 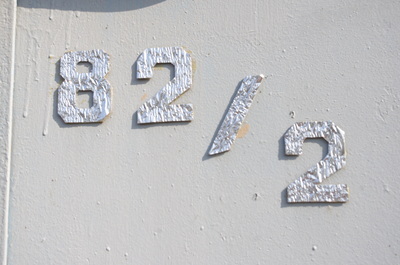 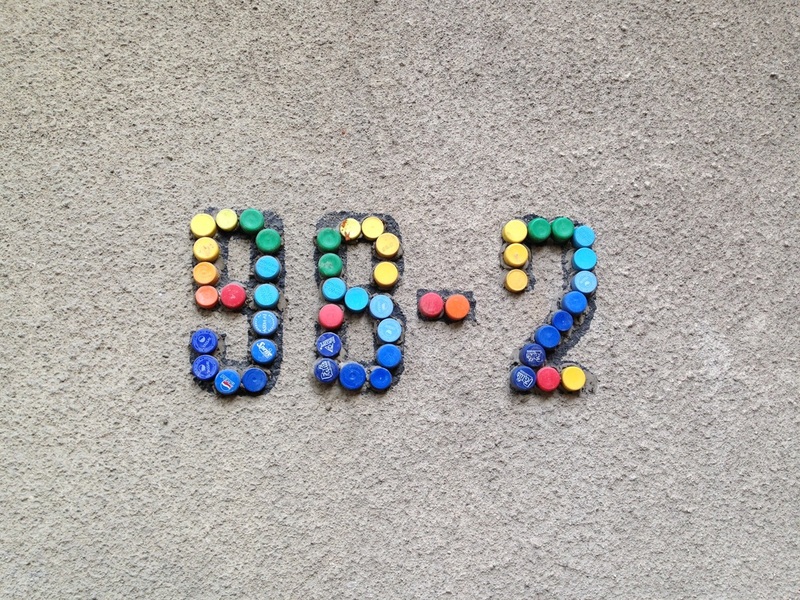 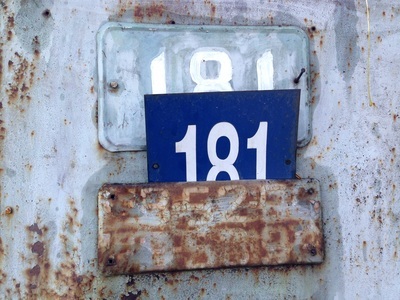 Numbers were painted on in a stenciled script that homeowners have often had to repaint over the years. 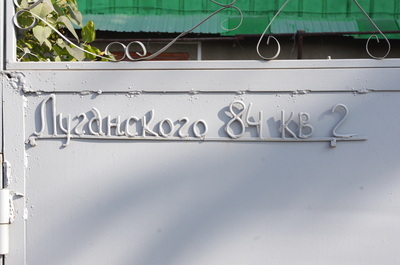 In what I imagine was a cost-saving measure, there are separate signs for the street name and for the house number, so that each could be mass produced. 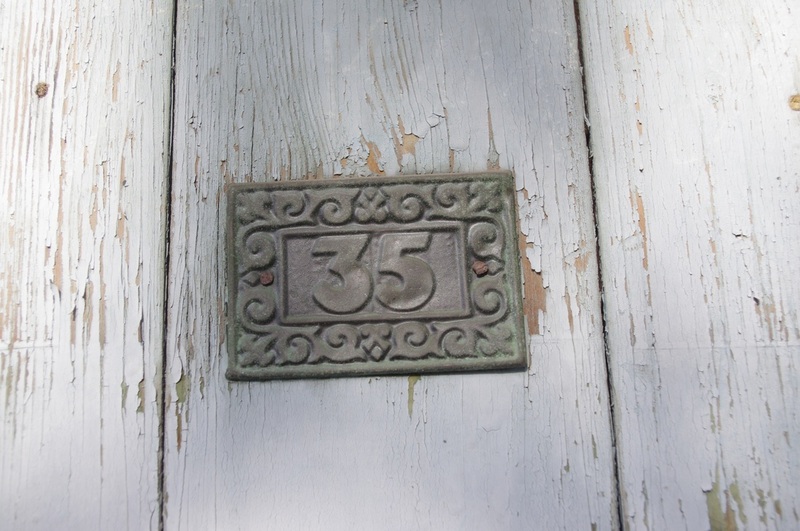 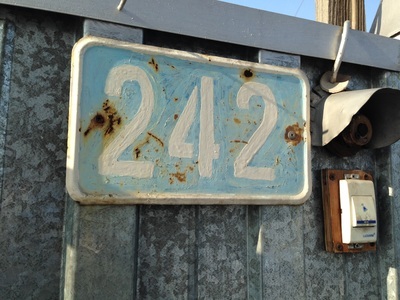 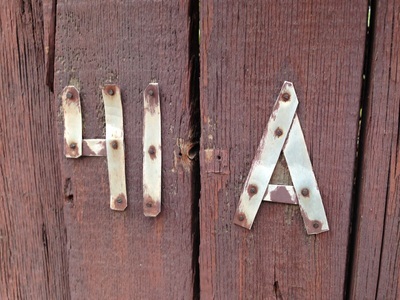 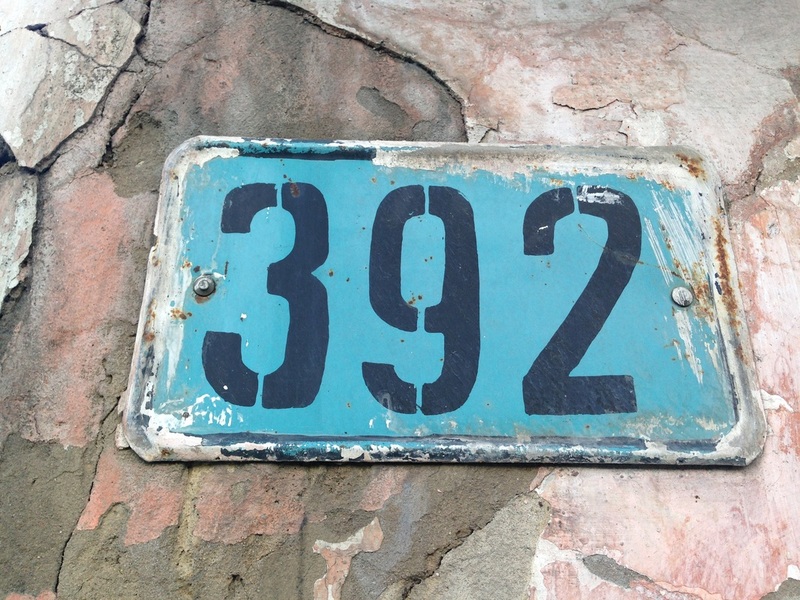 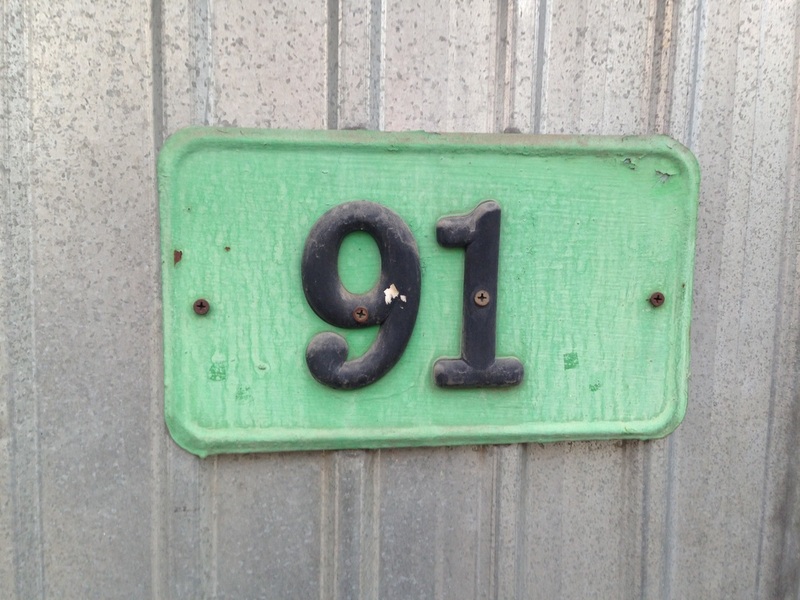 In other cases, homeowners have put up store-bought signs, customized with their address. 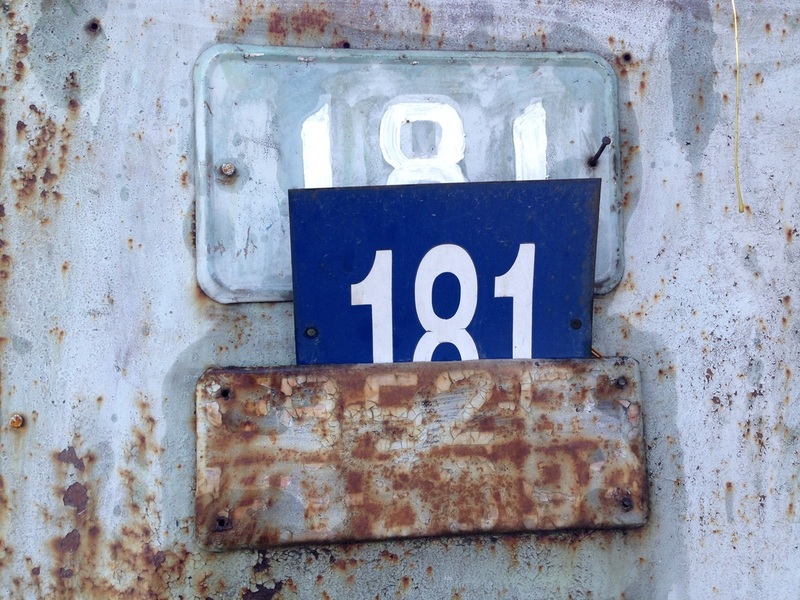 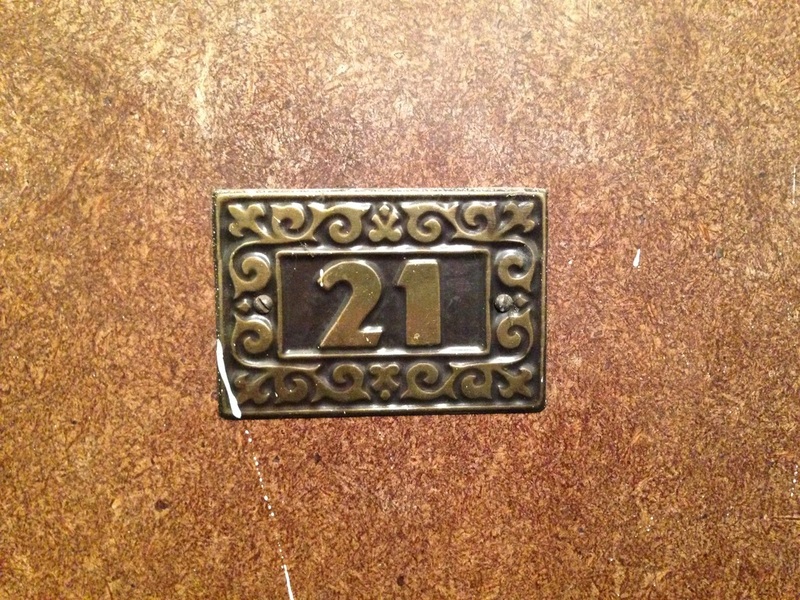 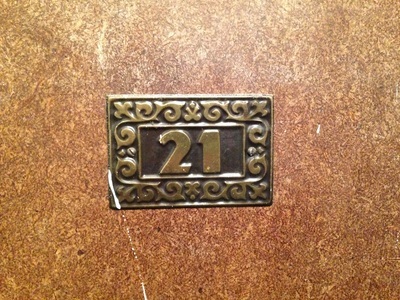 My favorite addresses, though, are the signs that show some love and attention. 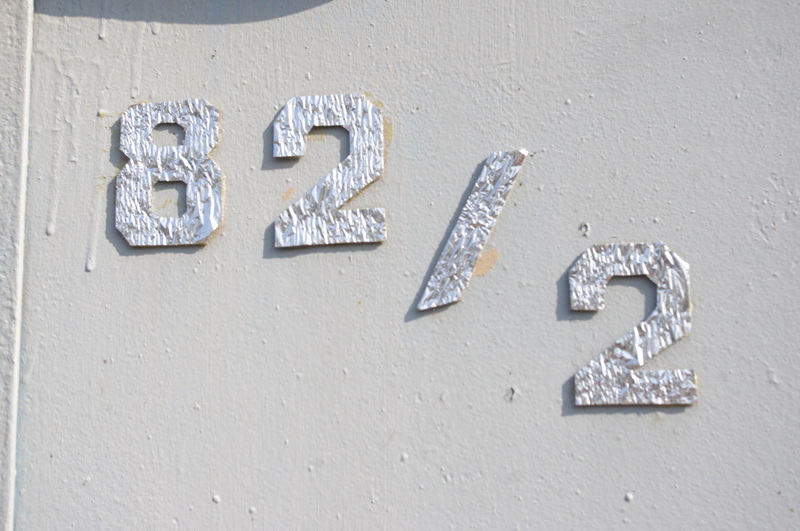 A subset of the Handpainted Signs collection I've got, these addresses can be boldly painted, rendered in charming cursive, or made with homemade stencils. 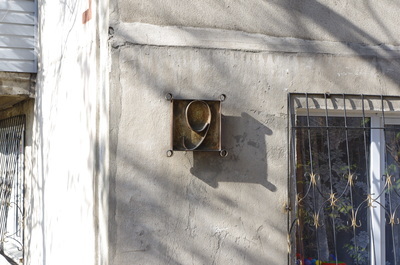 They are subtle identity markers, begging the voyeuristic questions that always cloud my mind on my long walks: Who drew that elegant "seven"? What made them take the time to brush in their street name themselves? 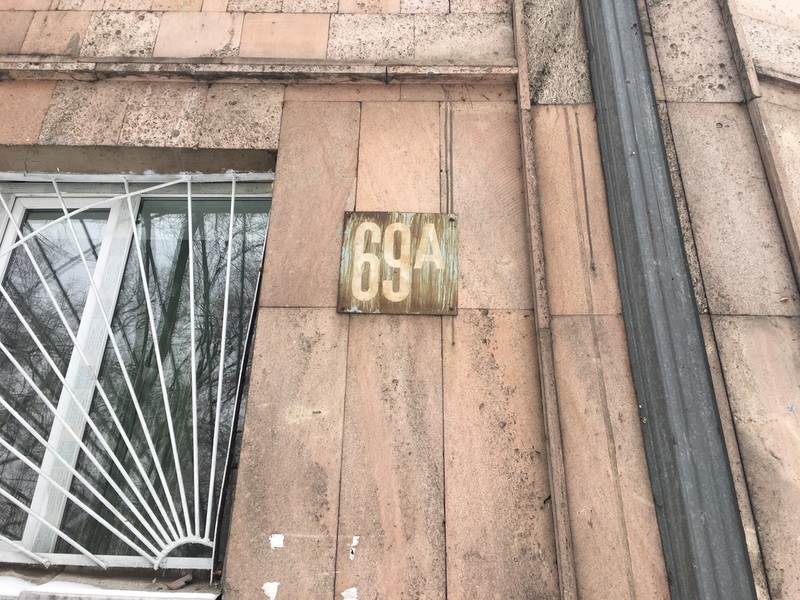 What do they dream at night?